There were two distinct versions of this weapon; a 1914 (3rd Year Type), and a 1922 (11th Year Type). The 11th Year Type was mounted aboard submarines, wheras the 3rd Year Type was employed on board surface ships only. 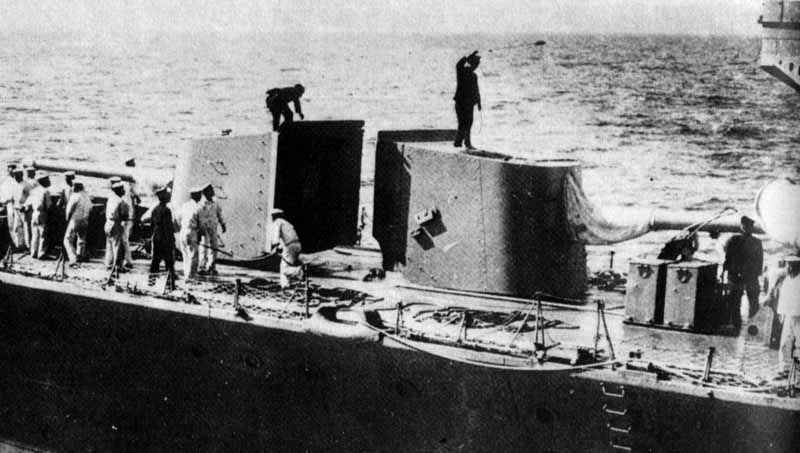 These latter included single mounts aboard the Ise and Nagato-class battleships (casemates), the carrier Hosho, the Tatsuta, Kuma, Nagara, and Naka-class light cruisers (in open-backed single turrets), and other smaller vessels. In addition, the Yubari carried this weapon in both a dual and a single mount, and these dual mounts were also employed aboard the Kashima-class training (later rated as light) cruisers, the seaplance carrier Nisshin, and various minelayers. It was also widely employed as a coast defence weapon.